An enclosed car heats up quicker then you would think. According to a study by San Francisco State University the interior of your car can be 40 degrees higher then the outside temperature. For example if it is 80°F outside the temperature in a car raises to 99°F in just 10 minutes, and to 109°F in 20 minutes. Even leaving the window open a crack only helps by a few degrees. Watch this video to see how hot this car gets. A dog's normal body temperature is between 101 to 102.5. Placed into a car on a hot day, after a short time the dog could suffer nerve damage, heart problems, liver damage, brain damage, or death. 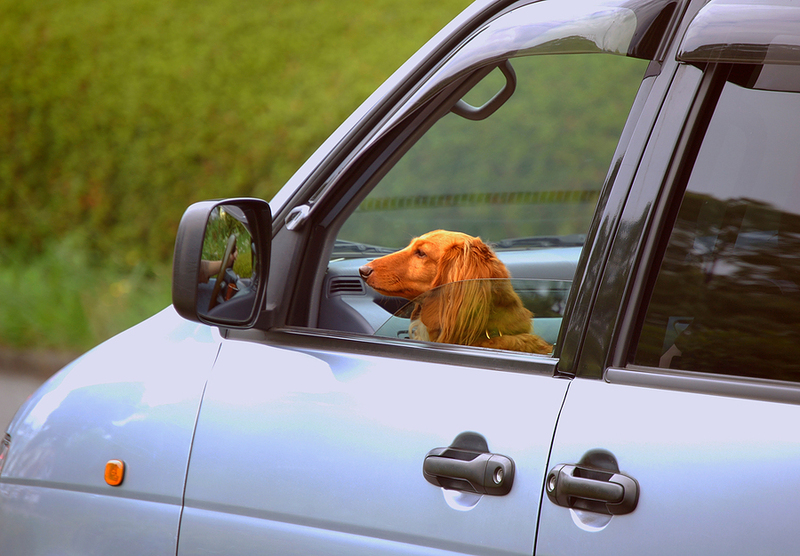 Maybe, your dog should not go for the ride, unless he is allowed into wherever you are going.